Life Groups help you get connected. Not only will you make a lot of friends, but you also will grow in God! Life Groups meet every fourth Wednesdays right before Corporate Prayer at our View High campus. The world needs something different and our young adults are learning to stand out by living their faith loud. Led by Pastor Aaron Lage, our 18-29 year olds are passionate about encountering the presence of God together. The Millennials are learning to step out, lead, speak and show their generation what God’s power can do. This group is working to distinguish themselves as people set apart for God’s use only. Led by Ron and Deb Alburtus, The Bridge is designed to help people discover who they are in Christ and what they can be. The group’s goal is to encourage and establish a stronger walk with God and build strong friendships. Let God revive your marriage. Bill and Carol Gilpin will help you find Biblical tools to build a strong marriage, prosper financially and develop friendships with other couples. 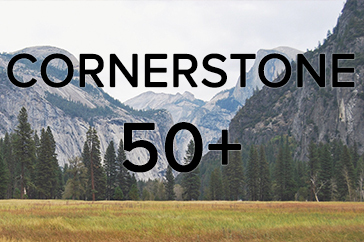 Fellowship with other believers over the age of 50 through our Cornerstone life group. Pastor Jack Walter and his wife Jan lead this strong and wise group in a time of encouragement, fellowship and diving even deeper in faith.